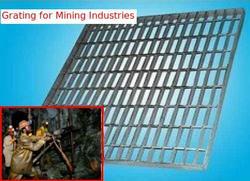 Prominent & Leading Manufacturer from Pune, we offer grating for mining industries. Grating for Mining Industries is being offered to the customers. We keep features in the mind of the grating.